Caring for a boat is a constant process. The amount of wear that normal water conditions can cause can strip paints and varnishes, and animals can fly overhead or climb on board and leave messes. Though a boat left for a full season often needs many hours of care, there are a number of things you can do to help keep your boat looking shipshape year round. Soap and water seem like a natural pairing. But soaps that are not rated for marine use can cause a number of harmful problems to the water around you. Phosphates in soaps cause algae growth that can pull oxygen out of the water and cause fish kills. Microbeads are mistaken as eggs by hungry fish, and when ingested can fill stomachs to the point where there is no room for real food. The best thing to do is find cleaners for your boat that are rated for marine use, or to wash your boat on dry land in a place where the sudsy residues will not find their way back to the water. Fiberglass: Fiberglass is one of the most common and easy to clean surfaces on a boat. Much like the exterior of a car, a good paint job, regular washing, and periodic coats of wax are all that is needed on a normal basis to keep the exterior looking good. After a number of years, particularly if the boat is kept outside and in the water year-round, it will need top painting. Bottom paint will need to be redone every 1-5 years depending on the type, use, boating location, and manufacturers’ recommendations. Aluminum: Aluminum needs little done to continue to look good. A regular wash is most of what is needed. The real risk with aluminum is wear due to galvanic corrosion (the kind of corrosion that boat zincs are placed to protect). There are a few basic rules to remember to help keep your boat, propeller, or other aluminum items intact. Do not attach other metals to aluminum, particularly under the waterline (zincs not included). Avoid electrical connections between fittings. Use paints designed for aluminum only. Do not use graphite lubricants. Fasten unpainted anodes securely. Do not use automotive battery chargers on board. Wash down with freshwater after every run to avoid salt buildup. Consider the marine habitat when using corrosive polishes to refinish. If you want to use something very toxic on something like a propeller, it would be better to remove it from the boat and relocate it to a place where the substance will not end up in the water. Do not mix metals, and ensure that the more active your metal, the better protected it is (and stays). Protect from galvanic corrosion with zincs. Ask a marine mechanic for help if you do not know how to place these yourself. If you do find yourself a victim of early corrosion, there are anti-corrosion, anti-fouling paints designed especially for submerged metal parts on boats. Check with your local marine supply store or boat mechanic. Glass: Glass is one of the most likely surfaces to show spray after you take a ride on your boat, but one of the easiest to clean. Marine rated glass cleaner works well, and many a sailor swears by saltwater and newspaper for a high-polish shine. Squeegees are a great way to avoid wasteful paper towels. If you are in a pinch for a glass-cleaning towel that will not leave lint, coffee filters work very well. Wood: Wooden boats are some of the most beautiful choices on the water, but also one of the highest maintenance. A well-kept wooden boat will, however, last generations. The key is to keep the wood well-sealed. Sealants and paints must be regularly updated to prevent water from soaking into porous wood and permanently damaging the structure of a wooden boat. Even wooden accents will need a time-consuming refinish if water is allowed to soak in and raise the grain. It is a good idea to take a look at the wood each season and make touchup. Oils can be replaced regularly and paints can be layered, but varnishes will need to be removed and redone every few years. Keeping your boat covered will help make it last longer, as rain and UV rays will break down wood protectants. If your boat is too big to keep it out of the water when not in use, you will extend the longevity of the boat if you haul it out once a year for a thorough inspection and touchup or re-paint. The type of wood also has some bearing on how often it is treated. Some woods, like teak, are much more water resistant than others, such as oak. This was not always as true; long ago most wooden boats were made with old-growth trees. The trees had significantly tighter grain because they were raised in an area of deep shade, which means that each individual growth ring was very small. Now, trees are grown in conditions where they are given plenty of sun and sometimes additional fertilizers to expand as quickly as possible. Though this allows for quickly available timber for lots of purposes, the wood grown now needs more protection than it may have fifty years ago. Isenglass: Though this thin glassy substance serves the same purpose as a glass window, cleaning it with anything ammonia based will ruin it forever. Instead, water and mild dish soap or boat soap is enough to keep your canvas windows looking shiny and new, and to protect your canvas from premature wear due to chemicals. Canvas: One of the quickest items to wear on a boat is canvas. Because it is constantly under attack by UV rays and inclement weather, and often used to protect other surfaces on a boat from wear, it is often in need of care or replacement on a regular basis. There are a few things that can be done to extend the life of your canvas and keep it looking cleaner. First, like every part of your boat, a freshwater wash-down after any boating trip will help keep things looking nice, and prevent buildup of issues. Rainproofing and UV protecting sprays are available for canvas, and should be used once a year after a thorough scrubbing of all canvas surfaces. If mold or mildew appears on the canvas after a long winter, avoid bleach-based products as they are not marine safe and will likely discolor your canvas. Instead, try a scrub of baking soda and water. Scrub it into the mildewed areas, wait an hour, rinse well, and then give one more good wash down with boat or marine-safe canvas soap. Canvas, particularly sails, should be inspected for wear at the beginning and end of each boating season to prevent small tears from becoming big ones and to replace key fasteners. Carpet and Upholstery: Boat upholstery and the interior of a cabin still have a number of things that put it at risk when it comes to wear. Because these are fabrics, they trap liquids more easily. It is important to consider this and to keep the area as dehumidified as possible. Wash all seat covers, washable pillows, comforters, and beddings at least at the beginning of each boating season. Removable rugs can be taken out and laundered, and so can lines. Carpets can be sprinkled with a baking-soda carpet cleaner (including wall carpeting for those with older boats), and vacuumed to freshen them. Steam cleaners are a great way to get a deeper, more disinfecting clean to the area. The hot steam may also help reactivate the old glue in some of the wall carpeting, and keep it from peeling off on boats that are twenty to thirty years old. Steam cleaners are also a great way to deeply clean foam inside boat cushions, boat mattresses, and any area on a boat that has narrow cracks that cannot be reached with scrubbing tools, like under refrigerators and grooved flooring. 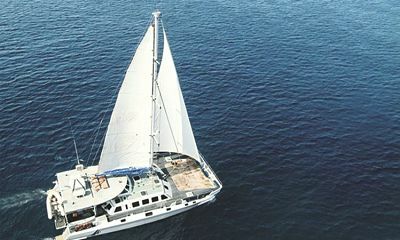 Boats are one of the best ways to spend a spontaneous weekend away on a romantic cruise or fun trip with the kids. However, unless surfaces are properly maintained, a carefree jaunt can quickly become a long work weekend. By keeping up on regular cleaning, you not only keep your boat as the pride of the local marina but you will end up using it more, because it will be only a warm-up away from your next adventure.